Now that I'm on Bloglovin I have been able to keep up with a lot more blogs on a very regular basis. That being said, I can't take full credit for this post because I got the idea from A Beautiful Mess's post from yesterday. 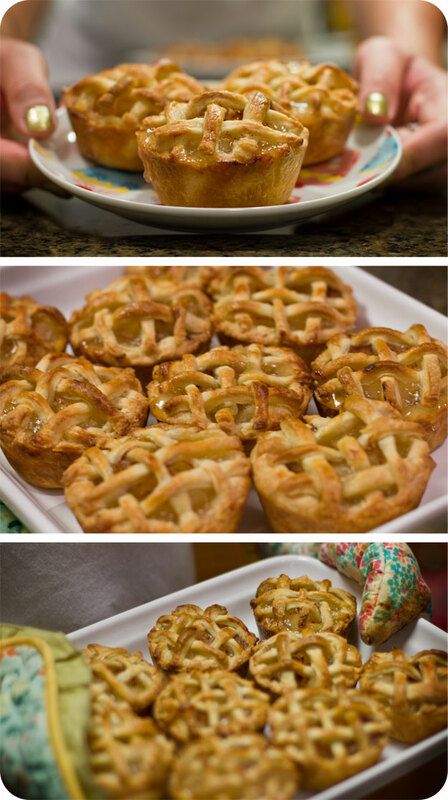 She and her friend made mini peach pies and I love anything miniature so I had to try making some of my own. With Steve on overtime at work, I was looking for something to do and this fit the bill perfectly! Finally, remove from oven and enjoy!!! They're the best when they're fresh and ice cream doesn't hurt, either ;-) YUM! They look delicious! I love eating pies....wait, that didn't sound right.